Inspired by nature, the French designer Ferréol Babin created the Lake tray for Pulpo. As the name suggests, the outline of the small tray is reminiscent of a lake, giving it a playful quality. The bowl-like tray consists of glazed ceramic which is ideal to stylishly present fruit and snacks. Moreover it can also serve to store small items such as office supplies or jewellery. The strong colours also provide a great focal point and can be combined wonderfully with one another. Every piece has been handmade from ceramics and has a shiny glaze. Streaks and other variations in size and colour are part of the handcrafted production method and are not defects in the design or production. Isolated product image of the Pulpo - Lake tray in size small / cobalt. 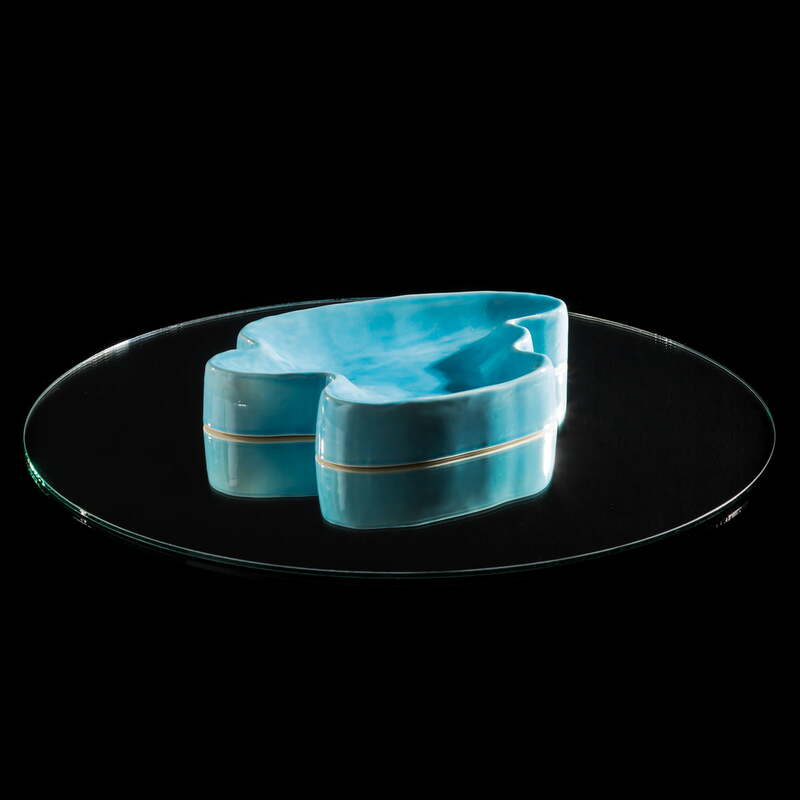 Every Lake tray has been handmade from ceramics and has a shiny glazed finish. Lifestyle product image of the Pulpo - Lake tray. Jewellery, stationery and small objects can be wonderfully presented in the organically-shaped bowl. 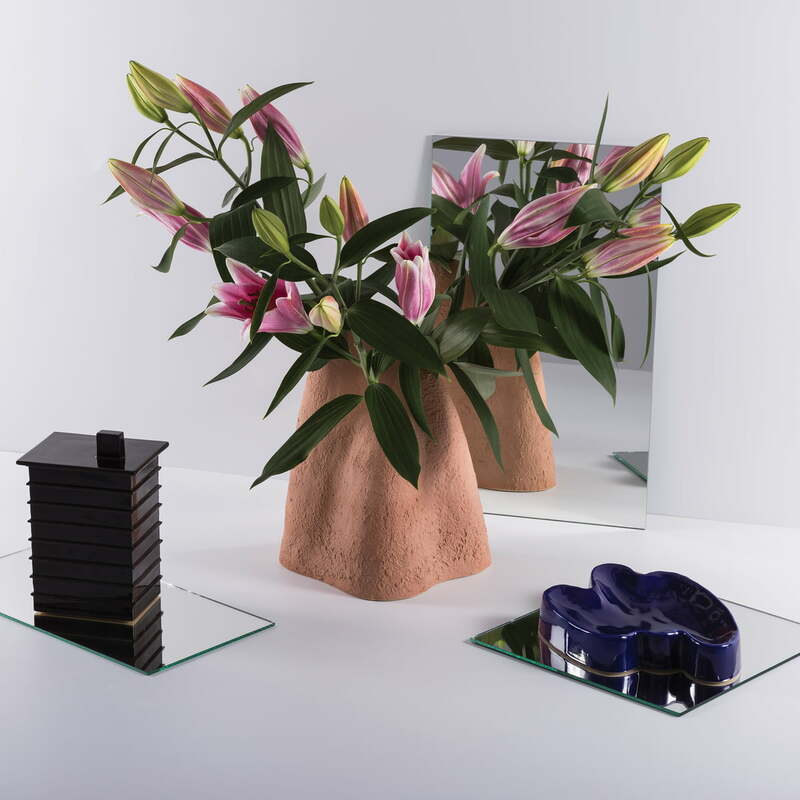 Lifestyle product image of the Pulpo - Lake tray with the Vulcan flower vase. 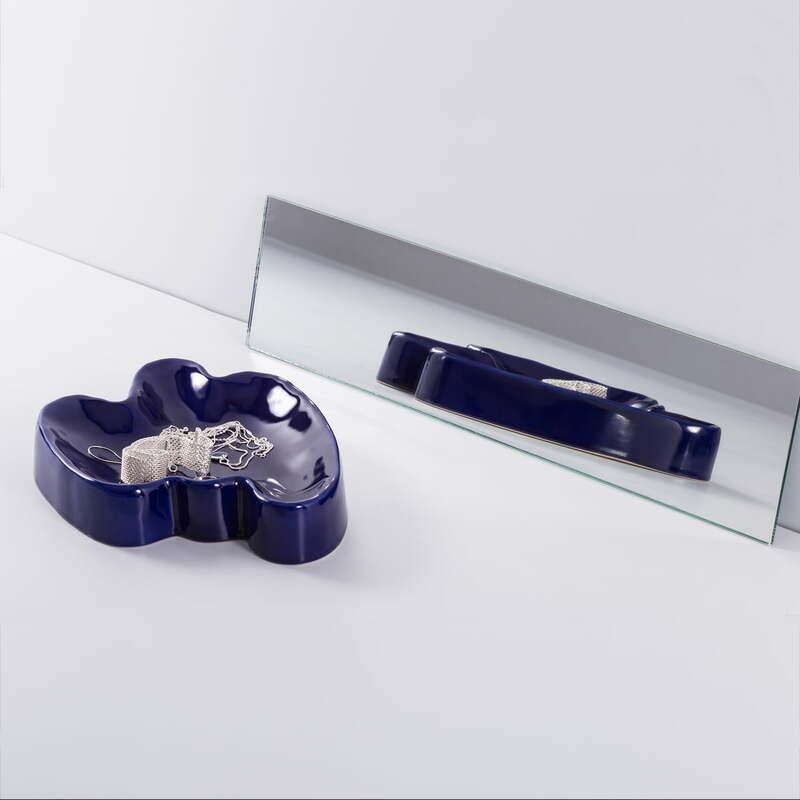 The small tray can be used to store various bits and pieces and harmonises perfectly with other ornaments. Lifestyle product image of the small Pulpo - Lake tray. 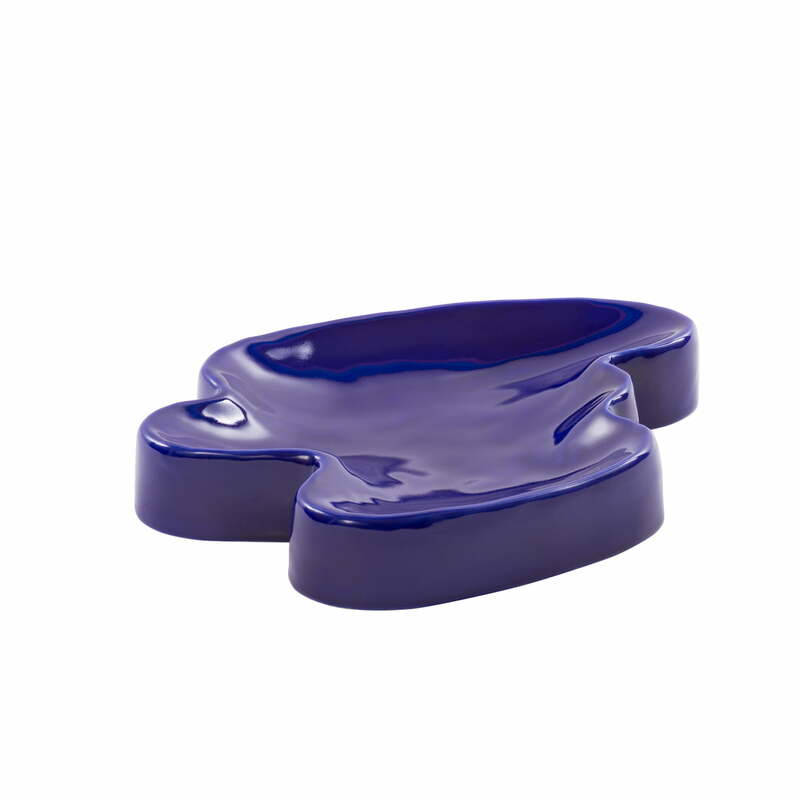 The organic shape of the tray is reminiscent of the outlines of a lake, hence the name "Lake".